You&apos;ve probably seen the tweets using hashtag #FreeAJStaff, or the images online of people holding signs reading, "Journalism is not a crime" with their mouths taped shut. What&apos;s the story? Solidarity. The Egyptian government has detained a number of journalists, keeping them behind bars for days or even months and subjecting them to subhuman living conditions. Since they have been silenced for speaking out, the world has come to their side in global protest by telling their stories for them. On Thursday, people around the world joined in real and virtual protests condemning Egypt&apos;s detention of domestic and foreign journalists. While most notably four Al Jazeera journalists remain in prison, a handful of others are in trouble too. The Egyptian government has thrown heavy charges at the nine total journalists who are among 20 people being held behind bars. They are being tried for engaging in terrorism and "harming national unity and social peace." 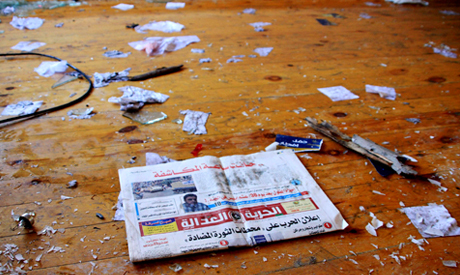 Egyptian authorities allege the journalists held "illegal meetings" with the Muslim Brotherhood, which was declared a terrorist group in December. Since the removal of former President Mohammed Morsi in July, 60 journalists have been detained by the military, according to the Committee to Protect Journalists. Three Al Jazeera reporters were taken together, a fourth Abdallah al-Shami was detained separately on August 14. Al-Shami began a hunger strike last month, his wife reports. Communication from those detained describe subhuman conditions of being beaten, crammed into small cells and being denied of edible food. Mohamed Badr, an Al Jazeera television cameraman was freed from detention in Egypt earlier this month. He was kept for nearly seven months, facing brutal attacks in prison. Finding names of all those detained has become extremely difficult, and each detained person&apos;s situation may change within hours. If you have the names of any other journalists who are being held in Egypt, please comment below to get the word out. The journalist went on a hunger strike in January 2013. His wife Gehad Khaled spoke out on Al Jazeera saying, "He is repulsed by inequity and injustice. He hates to see it, and he hates to live in its squalor." Feras Shamasan has been called an avid human rights defender. Egyptian-Canadian Cairo Bureau Chief Mohamed Fahmy was one of three Al Jazeera reporters taken from their hotel in Cairo and thrown in jail. Fahmy&apos;s family members are tweeting from Fahmy&apos;s Twitter account, updating followers on the reporter&apos;s situation. Apparently, international media attention resulted in his transfer to a prison with better conditions. He appeared in court wearing a sling, saying that he had not received treatment for a broken shoulder. The journalist has been detained since January sending letters from prison detailing the abuse. 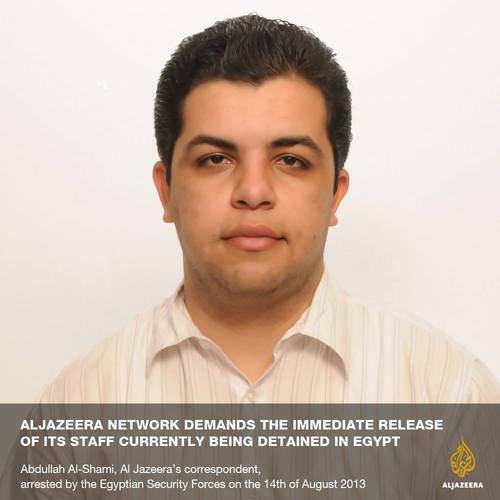 Al Jazeera producer Baher Mohamed was detained on Dec. 29, 2013. Aamer is being held by Egyptian authorities, according to reports. 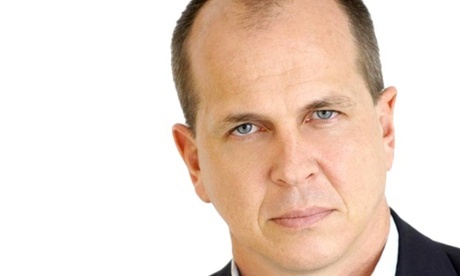 Australian journalist Peter Greste has been held 60 days and counting. Leaders are calling for Australia&apos;s prime minister to take action. He was recently denied bail. Al Jazeera spokesman Ghassan Abu Hussein says the detention of journalists is an attempt "further incite violence against our journalists working on the ground." Mahmoud Abou Zeid was detained in August 2013.